Emmanuel Macron's disgraced ex-bodyguard said he continued to exchange messages regularly with the French president even after he was forced out of his job in July over a scandal. And he was at the centre of more embarrassing headlines for the embattled 41-year-old head of state last week when it emerged he had retained his diplomatic passports even after losing his job. In an interview with investigative website Mediapart, Benalla said Sunday that he continued giving advice to Macron via the Telegram messaging app, which the president uses intensively. "We exchange messages on lots of different subjects. It's often like, 'how do you see things'. It could be about the 'yellow vests', the views on someone or security issues," Benalla said. 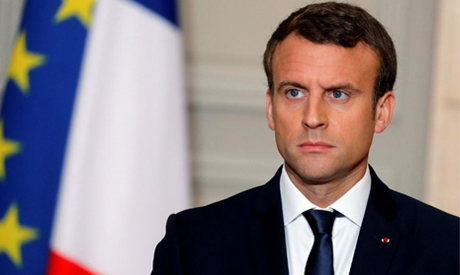 Benalla's role and the ties between the two men have been the focus of intense media scrutiny and the latest comments undermine efforts by Macron to distance himself publicly. The French president is to give a televised New Year's address later on Monday evening at 8:00 pm (1900 GMT) -- the same time as "yellow vest" protesters have called for a new demonstration on the Champs-Elysees in Paris. The protest movement, which swelled up from rural and small-town France in November, has waned in intensity in recent weeks after Macron announced a series of measures for low-income families. He met with Chad's President Idriss Deby earlier in December, and Le Monde newspaper has reported that he held talks with the Republic of Congo's President Denis Sassou-Nguesso, as well as top officials in Cameroon. "I explain that I've seen so and so and what was said. Afterwards they can do what they like with it," Benalla told Mediapart. He added, however, that since the revelations about his diplomatic passport emerged "the link has been cut" with the presidency. Last Tuesday, the French presidency said that Benalla was "not an official or unofficial emissary". "If they don't want me to use these passports, they could deactivate them," he said. "When you travel abroad with a diplomatic passport, the French embassy knows when you arrive," he added.